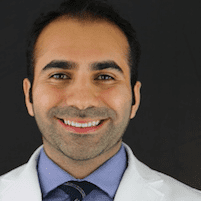 Dr. Homam Saleh, DDS and his staff at World Trade Center Dental Group offer many different cosmetic procedures and products to their patients, including Invisalign®. The doctor provides oral healthcare to the residents of the Financial District in downtown Manhattan, New York City, New York, 10004 and many surrounding communities. Invisalign® is a patented system that uses several individual clear trays to gradually reposition teeth so that they are evenly aligned and properly spaced in the mouth. Molds of the teeth are made and 3D template (ClinCheck) is created for review by the doctor and patient to satisfaction before starting the treatment. The template is then used to create several "trays" that snap onto the teeth. Each tray is worn for a specific amount of time, normally two to three weeks, during which time the teeth gradually shift to a new position. Each new tray moves the teeth a little more until the final tray is used that brings about the final result. The number of trays needed for the necessary corrections depends on the amount of change that is desired. Almost anyone can benefit from the Invisalign® technique as long as the amount of correction needed falls into the parameters required for the procedure. 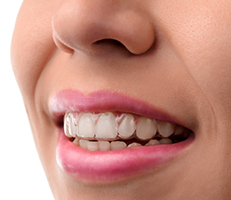 Individuals who have severe alignment issues may be forced to use traditional braces to help correct the problem. Teenagers and adults who only have slight misalignment of the teeth will be ideal for the Invisalign® tray system. They are also ideal for people who are in the public eye or work in the business field where their looks are a large part of their image. Invisalign® trays are made of a durable, clear plastic resin that snaps on and off of the teeth. They can be worn at all times, without anyone even knowing they are in use. Invisalign® trays may be uncomfortable for the first few days, but normally do not cause severe pain. The discomfort comes from the gradual movement of the teeth as they migrate from their original position to where they are supposed to be. Once the trays are put into use, the discomfort will gradually diminish over time. Any discomfort should quickly diminish in a few hours as the teeth adapt to the new trays. Most patients who use the Invisalign® trays like the convenience as well as the fact that they are not extremely uncomfortable to wear for long periods at a time.